"Love knocked at my door in softest steps and I don't have a slightest hunch in saying I got probably one of the best men on the earth as my precious half. After an excruciating childhood, he was a like the fresh breeze my heart yearned for. Though ours was a pure love marriage, we tied knot with everyone's blessings. Different castes didn't make much of a difference. As newlyweds, living with him was so much fun. In whatever time we were left after our respective MNC jobs we were busy weaving beautiful memories of a lifetime. He loved cooking while I loved eating and this is how we were complimentary in all our house chores and thus we had a ball even in these. Actually it was the inherent goodness of his heart that was so warm and so comforting. He was a man of few words and mostly expressed through his eyes. So I had every reason to fall in love with him more and more irreversibly with every passing day. We barely had a tiff ever for he was so caring that I could not even think of hurting him in my dreams. Fortunately, a decade later today too, he is all the same and I thank Almighty for that. He is truly a wonderful spouse to me and an even more adorable dad to our little daughter. But my rosy world transforms to a bed of thorns whenever his family is visiting us or we are with them. Their advent changes my man completely almost every time and he barely even talks to me if they are around. I find it so weird and strange and often unbearable too and I dread the months they will be here. Our interactions then only limit to ordering groceries needed every day, sometimes not even that. He comes late to bed mostly after I have slept so I can’t even talk to him then. I really miss him, his love, his warmth, his smile, his care, his everything, I am so used to during these punishment months, can’t think of a better word. The man, who can't sleep everyday without putting him hand in my t-shirt, avoids our cosy and personal moments too. 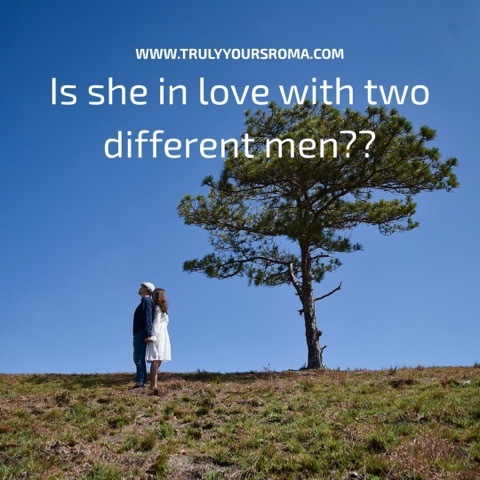 Sometimes I wonder if he is the same man, I am so much in love with or someone else, an absolute stranger... Am I in love with two different men? Sometimes, it gives me a feeling like I am a mistress to him not his legally wedded wife and our daughter an illegitimate child whom he tries to avoid when his kin visit us. I have also noted that he avoids telling this family on phone all the good things he has done for me or all the beautiful gifts he keeps showering me with. What is he scared of? For years I am unable to fathom the cause of this behaviour and now am in a sort of perennial dilemma. I have stopped crying but it hurts the deepest in my heart. I have no problem with his family which is now our family but his alienating me on their arrival has gradually made me admonish them. The moment they leave I get my precious love back and we are tucked in our blanket watching our favourite movie in our bedroom while only yesterday we didn't even sat in the same room. Of course it can’t be same with elders around but why neglect my complete existence in front of them? Every time I become hell bent to ask him the cause he chooses not to speak and rather take me shopping or for a vacation for a mood change. I ultimately give up under his unconditional love which changes like seasons for those few months of the year. I don't have a slightest doubt in saying that we both love each other infinite times to the moon and back, but what insecurity is it that makes him so conscious of expressing his love/care for me in the presence of his kin. Is it that he married the girl of his choice and not the one his family chose for him? Or is there another layer of men's psychology I am yet to unfold...."
The above is a true account of a friend who has chosen to be anonymous... which does offer a certain amount of food for thought, I would still like to step into her husband's shoes and visualize the situation, to be able to think more fairly. what course must Radhika Take?